Blaschke C, Volz U. Soft and hard tissue response to zirconium dioxide dental implants–a clinical study in man. Neuro Endocrinol Lett. 2006 Dec;27 Suppl 1:69-72. Erratum in: Neuro Endocrinol Lett. 2007 Oct;28(5):iii. PubMed PMID: 16892009. Titanium dental implants have been used successfully in implantology for more than 40 years. Recent research, however, suggests that titanium might have more side effects than previously believed…. Zirconium dioxide has been shown in both in vitro and in vivo studies to have desirable osseointegrative properties. This clinical study shows that dental implants made from zirconia are a feasible alternative to titanium dental implants. 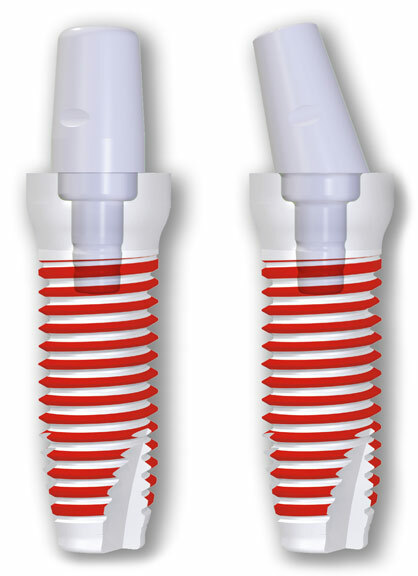 In addition to excellent cosmetic results, zirconia implants allow a degree of osseointegration and soft tissue response that is superior to titanium dental implants. Titanium toxicity: Titanium ion induces necrosis and sensitivity to lipopolysaccharide in gingival epithelial-like cells. Makihira, et al. Toxicol In Vitro. 2010 Oct;24(7):1905-10. doi: 10.1016/j.tiv.2010.07.023. Epub 2010 Aug 1. Johansson BI, Bergman B. Corrosion of titanium and amalgam couples: effect of fluoride, area size, surface preparation and fabrication procedures. Dent Mater. 1995 Jan;11(1):41-6. PubMed PMID: 7498607. Corrosion current and pH rise around titanium coupled to dental alloys. Ravnholt G. Corrosion current and pH rise around titanium coupled to dental alloys. Scand J Dent Res. 1988 Oct;96(5):466-72. PubMed PMID: 3201121. Influence of fluoride on titanium: in an acidic environment measured by polarization resistance technique. Boere G. Influence of fluoride on titanium in an acidic environment measured by polarization resistance technique. J Appl Biomater. 1995 Winter;6(4):283-8. PubMed PMID: 8589513. Koch FP, Weng D, Krämer S, Biesterfeld S, Jahn-Eimermacher A, Wagner W. Osseointegration of one-piece zirconia implants compared with a titanium implant of identical design: a histomorphometric study in the dog. 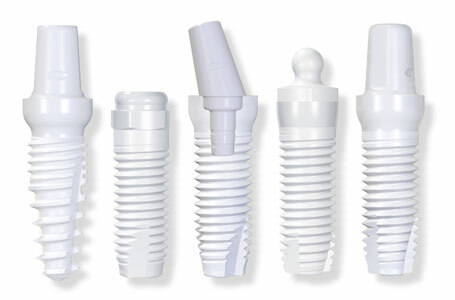 Clin Oral Implants Res. 2010 Mar;21(3):350-6. doi: 10.1111/j.1600-0501.2009.01832.x. PubMed PMID: 20074240.